The subtitle of this memoirs/self-help book is The Life-Changing Wisdom of History's Greatest Poem (Dante's Divine Comedy). The author offers an engaging read about his midlife crisis and how Dante's masterpiece helped him through it, along with help from his pastor, his therapist, his down-to-earth wife, and his supportive and accepting friends. 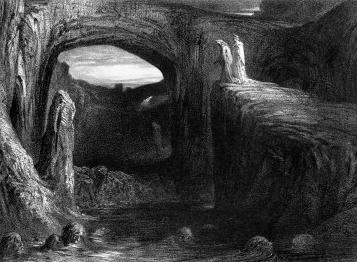 The book is presented as an inspirational text for those who might be tempted to make their own Dante pilgrimage, a journey of self-discovery and self-realization, by way of atonement and renewed motivation to lead a decent life. To be honest, I felt it could just as effectively have been written as a straight memoirs, and the self-help aspect left for readers to discover on their own if they felt the need. This medieval masterpiece, perhaps the greatest poem ever written, reached me when I thought I was unreachable, and lit the way out of a dark wood of depression, confusion, and a stress-related auto-immune disease that, had it persisted, would have dangerously degraded my health. It is said that all of life is in the Commedia divina, as the Divine Comedy is known in its original Italian. The epic poem can be read on many levels: as a fantastical adventure, as a religious tract, as a philosophical treatise, or as the author uses it as a guide to how to live a moral life. 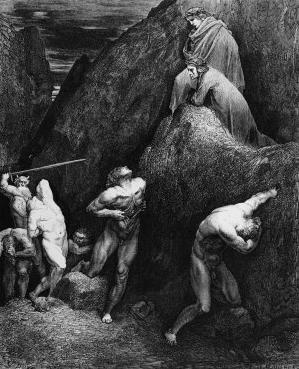 Some have even conjectured that one reason Dante wrote it was to take revenge on his enemies. 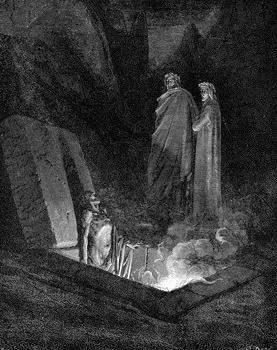 Dante's tale is a fantasy about a lost man who finds his way back to life after walking through the pits of hell, climbing up the mountain of purgatory, and ascending to the heights of Heaven. But it's really a story about real life and the incredible journey of our lives, yours and mine. The family travails that trigger the author's crisis are not unique, especially if you have watched the TV sitcom Fraser which dealt with the father-son and the sibling dynamics, but that does not lessen the author's suffering, nor should it lessen our compassion for his suffering, and for his family's suffering. From his descriptions in the book, one can deduce that he is an erudite intellectual, curious about the world and the world of ideas, and he is fact and reality addicted. His immediate family are tradition-based, change-averse, narrow-minded fantasists; like many insecure and fearful people, they prefer the world they imagine to exist, to the world that really does exists. Given those differences, conflict was inevitable. If a person like the author is placed, either by birth or by choice, among people like his described family, he will most certainly be harassed and ostracized until he either kills himself, gets killed, or leaves to maintain his sanity and health. That is the way it has always been and it is probably the way it will always be. Inexplicably, the author chooses to return to that environment, and to remain in it even when his sanity and health falters. He puts the well-being of his wife and children at risk in a stubborn (and selfish?) attempt to understand why the poor treatment he receives leaves him disoriented and disappointed. As a writer, the author had often advocated a return to small, religion and tradition-based communities. I suspect much of his disorientation and disappointment was at the poor reception he received when he took his own advice and moved back to just such a community. He had certainly romanticized the community of his youth, because the reality of it seemed to shock him to the core. 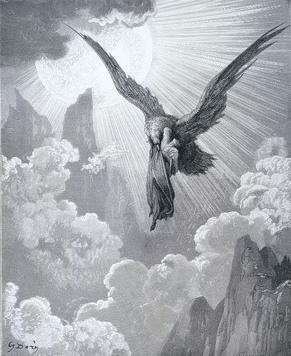 The author's journey back to physical and mental health came from meditation through prayer, guided self-analysis, and through his own intelligence by using Dante's Divine Comedy as bibliotherapy, which produced joy in him through the intellectual stimulation it provided. I have my doubts about the author's ability to stay healthy in the narrow-minded community in which he has chosen to live. His emotional, sensitive, over-intellectualizing, mystical, highly moral, and at times monomaniacal character is not well-suited to the severe, defensive, rural society he calls home. And I suspect that the publication of this book will not improve his place in the eyes of his extended family and small community. What carried me through this challenging book was the fluid, engaging writing that linked together extracts from Dante's poem with biographical sections, and with discourses on philosophy and theology. The author has a talent for explaining thoughts, feelings, conundrums, faith, loss, conflicts and characters concisely, with a seemingly effortless prose style that is a joy to read. 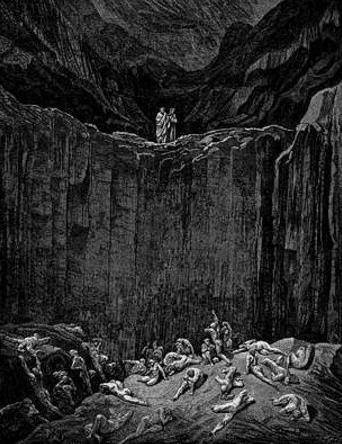 The opening lines of The Divine Comedy by Dante Alighieri launched Rod Dreher on a journey that rescued him from exile and saved his life. Dreher found that the medieval poem offered him a surprisingly practical way of solving modern problems. Following the death of his little sister and the publication of his New York Times bestselling memoir The Little Way of Ruthie Leming, Dreher found himself living in the small community of Starhill, Louisiana where he grew up. But instead of the fellowship he hoped to find, he discovered that fault lines within his family had deepened. Dreher spiraled into depression and a stress-related autoimmune disease. Doctors told Dreher that if he didn’t find inner peace, he would destroy his health. Soon after, he came across The Divine Comedy in a bookstore and was enchanted by its first lines, which seemed to describe his own condition. In the months that followed Dante helped Dreher understand the mistakes and mistaken beliefs that had torn him down and showed him that he had the power to change his life. Dreher knows firsthand the solace and strength that can be found in Dante’s great work, and distills its wisdom for those who are lost in the dark wood of depression, struggling with failure (or success), wrestling with a crisis of faith, alienated from their families or communities, or otherwise enduring the sense of exile that is the human condition. Inspiring, revelatory, and packed with penetrating spiritual, moral, and psychological insights How Dante Can Save Your Life is a book for people, both religious and secular, who find themselves searching for meaning and healing. 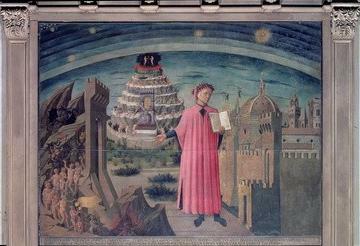 Dante told his patron that he wrote his poem to bring readers from misery to happiness. It worked for Rod Dreher. 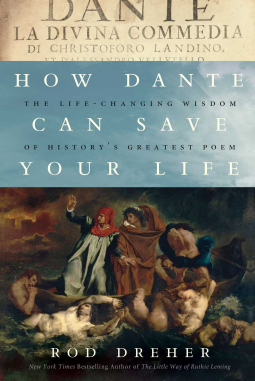 Dante saved Rod Dreher’s life—and in this book, Dreher shows you how Dante can save yours. I have a page about Dante's masterpiece on my Italian Culture website, Candida Martinelli's Italophile Site, which includes many of the illustrations that the author includes in his book, and which I use on this review page. 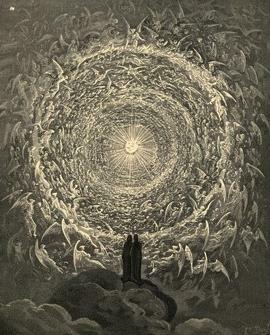 I also have links to free editions of Dante's poem in both Italian and English. Please visit the author's Facebook page.